His innings as Emirates Cricket Board’s (ECB) chief executive will come to an end next month but David East can reflect back at his six years knowing he leaves UAE cricket in its best position than it ever was before. The 59-year-old landed in Dubai in January 2013 having ended his 30-year association with Essex where he played as a wicketkeeper-batsman before moving upstairs and serving as their CEO. At the time of his arrival, the UAE national team were made up of amateurs and half-way through of their quest of reaching the 2015 World Cup. Fast-forward to today and the nation is considered one of the top Associate teams with the ECB’s hard work off the field instrumental to their success. 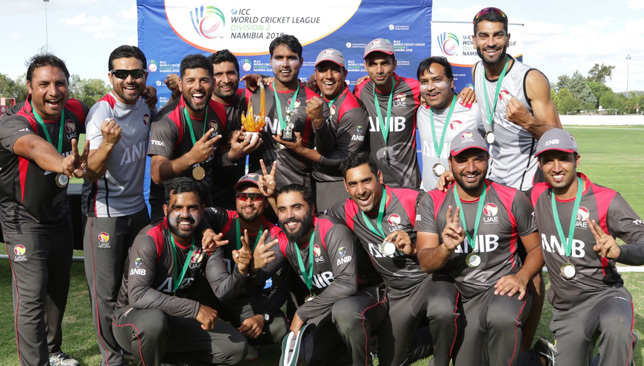 Under East, the UAE qualified for the 2014 World Twenty20, 2015 World Cup and 2016 Asia Cup. They also showed they have what it takes to host elite tournaments with the Under-19 World Cup and IPL staged on their shores in the space of three months in 2014. That’s not to mention their historic win over Zimbabwe – their first over a Test nation in March 2018 as well as retaining their ODI status until 2022. On top of that, the women’s national team were crowned Gulf champions twice and reached the 2018 World Twenty20 Qualifiers in only their second ICC tournament. Developing the game from grassroots levels, in their bid of producing the next UAE stars, has also had a positive impact with the launch of Inter-Emirates and Academy tournaments for girls and boys. With such a long list of achievements under his helm, understandably, East had plenty of highlights to choose from with the most extravagant T20 competition in the world among his best moments in charge. “There are many highlights,” he told Sport360. “The IPL was astonishing as that happened so quickly and delivering it within a short span of time as well was one of the experiences that I will never forget. With there being so much happening at the ECB in the last few years, it’s difficult to highlight individual things but the IPL was an amazing experience from a personal point of view. While all those have been key to the UAE’s rise, the most significant feat was the introduction of their first-ever central contracts in 2016, making their players professional for the first-time. It is a figure that now stands at 13 after deals were renewed until 2020 last month. Having served as Essex’s CEO in England – a country where the sport has a professional structure in place for county players, East knew it was essential having a roster of full-time men’s players in order to achieve their objectives. “The biggest challenge that we had was the access to the players. They were still amateur and working in full-time jobs and were only tied together for tournaments,” East added. “We became concerned that if we didn’t address that, we would be going backwards especially when teams were operating under a central contract system and were seeing great success from it. The ECB added another feather to their cap when they won The Gray-Nicolls Best Overall Cricket Development Programme award in July. It was in recognition of their on-going improvements to UAE cricket and considered highly prestigious by the ICC. As well as the major achievements mentioned above, there have been new academies set-up as well as an Emirati schools programme to get more locals playing the game. 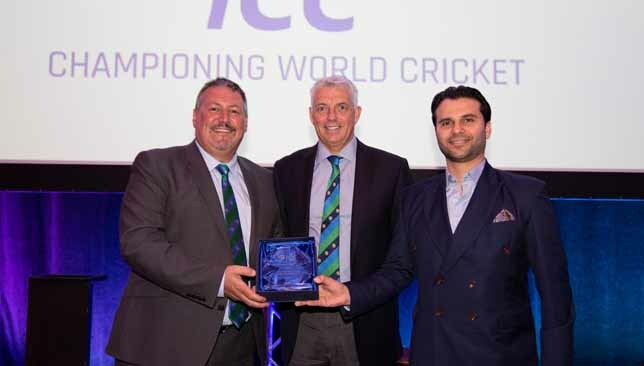 “A lot of the success of the national cricket team goes to the team and how they have performed,” added East, who received the award during the annual ICC conference in Dublin alongside ECB member Zayed Abbas. News of his departure saw members of the UAE team pay tribute to East. 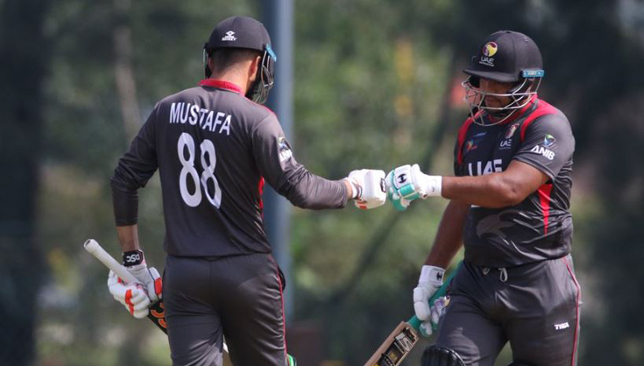 Captain Rohan Mustafa, all-rounder Mohammad Naveed and spinner Ahmed Raza were among the seniors to take to social media with the former wicketkeeper described as a ‘father figure’ of UAE cricket. East said he was flattered to hear such glowing comments and re-emphasised the importance of having a strong relationship with players. “That was very flattering,” he said. “The players are your most important asset. We needed to ensure we looked after them correctly and nurture them the right way. That’s the way you get the best out of people and I’d like to think that the processes we have put in place have provided that opportunity to grow as individuals and as a team and very grateful to hear that I have contributed towards that. When East does land back in England, he plans to recharge his batteries and spend more time with his family before embarking on his next challenge. Whether that is in cricket or not, he insists he will always remain a fan of UAE cricket and predicts a bright future for his to-be former employers. He added: “I’ve worked with some fantastic people in the UAE and I hope they will remain life-long friends. The Emirates Cricket Board (ECB) plan to arrange more international matches for the UAE to play against Test nations following last week’s Twenty20 clash with Australia. The UAE put on a spirited display in Abu Dhabi but lost by seven wickets to the Baggy Green in what was the first-ever T20 international between the two sides. It was a significant milestone for the ECB and the national team, who have not had many opportunities to test themselves against major Test countries in an official international on home turf. This is despite the UAE being home to various elite competitions including the PSL and Pakistan’s home Test matches. And the ECB are hopeful that playing against the likes of Australia, South Africa and even Pakistan could be a more regular thing for the UAE in the future. “We have plans to host more games next year and are already in talks with New Zealand or Australia in either playing T20s or ODIs,” Zayed Abbas, ECB board member and official spokesperson, told Sport360. The fixture against Australia had been classed as a warm-up but just five days before it, the ICC granted it as an international following the support of the Pakistan Cricket Board and Cricket Australia. Abbas thanked both boards for their support after revealing the idea came up during dinner with officials of the respective boards. He added: “You can build these things by building relationships. Having the right people at the right place, we made it happen. To secure a deal with one of the strongest cricket nations in the world on very short notice was down due to our very strong relationship that we have built over the years.